One of the main questions I get asked: Is it legal to have a lemonade stand? After-all, you’ve probably seen the few news articles about some young entrepreneur who decided to open a lemonade stand, instead of sitting inside playing video games all Summer – and get’s shut down or fined for operating without a license. But like asking if it’s legal to fly a plane – of course it is. But obviously, with the correct training and licensing. Some states are much easier to work with – than others. Some states are business friendly – others, not so much. But the good news – it’s doable everywhere – with the right license. 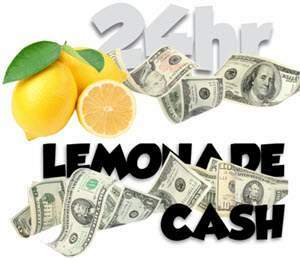 For example: In North Carolina you can start the same day you get the hankering to start making real cash money with a lemonade. My sisters did it recently when needing to make some quick cash. Of course, they have an older brother that had all the equipment and signs so there was no delays for them. 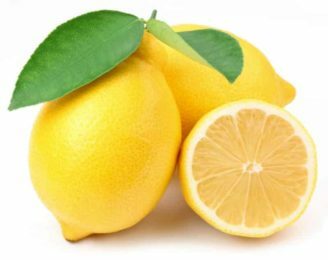 The fastest way to find out what is required, what you need legal to have a lemonade stand in your area – is to either call your local health department or call the state agriculture department. If the health department says that you need to contact the agriculture department, consider yourself lucky. This means getting started is going to be quicker and easier. Don’t Worry – it’s all pretty simple and stuff – that you’d likely want anyway. A commissary is usually the one thing that scares potential vendors. But it’s really easy. I have an article here with links on commissaries (what they are and why you need one) plus how to get them free and easy. Why you might need a commissary. How to get a commissary. Just like any other business on the planet – you must have a license. A business license. Same with vending. However, some states (like North Carolina) don’t require it when you’re doing raw agricultural sales. This is rare though. So call your local town government office and ask about a business license. Tell them what you plan on doing… I’m opening a lemonade stand – and you’ll probably be asked to apply online (takes a few minutes) or come by and apply. Either way, you can get a business license the same day. It’s easy. Sometimes referred to as a resale certificate – but again, not all states require this with lemonade vending. Some business positive states forgo charging taxes on raw agricultural goods. Think.. farmers market items. To find out, call your state department of revenue. You can google it easily. Call and ask. If you do find out that you are to collect and report sales tax – no worries. It’s another simple form to fill out and you’re done. And collecting sales tax is easy too. I have a video on it here. 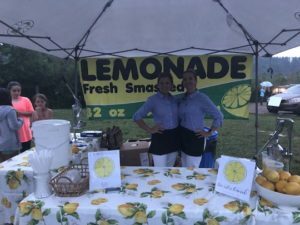 For more about opening and running a lemonade stand, read THIS ARTICLE.